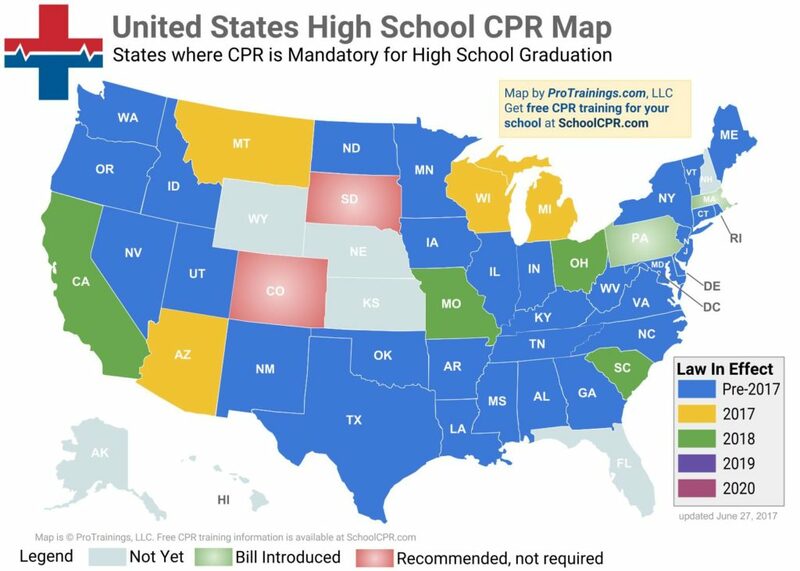 Are you curious about the CPR laws in your state regarding high school students, teachers and coaches (coming soon)? We’ve created a handy guide for you and we’re creating a page for each state that will tell you everything you need to know about the laws in your state. 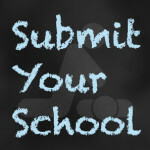 If your state doesn’t have a page yet, please consult this list of states to see the latest information. The materials available at this web site are for informational purposes only and not for the purpose of providing legal advice. You should contact your attorney to obtain advice with respect to any particular issue or problem. 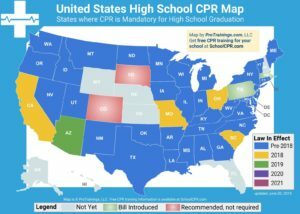 Use of and access to this Web site or any of the e-mail links contained within the site do not create an attorney-client relationship between ProTrainings, Student CPR or School CPR and the user or browser. The opinions expressed at or through this site are the opinions of the individual author and may not reflect the opinions of the firm or any individual attorney.